photo by kimberly derting via her blog. I haven't taken the items out of their home yet as I'm afraid the posters will never roll up that way again, but this is what I'll be working with and I'm pretty darn excited! I've already read the book and, well, when you mention languages you've already got me hooked. What was in your mailbox this weekend? 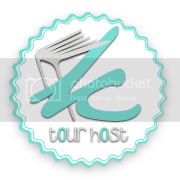 And if you haven't checked out Kristi's interview with some relatively new bloggers then you've missed my fabulous answers! Just kidding, but the questions were a lot of fun to answer and it was really neat to see how similar a lot of our answers were. You can check that out here. My name - my True Name - is Ashallayn'darkmyr Tallyn. Meeting Meghan Chase was the last thing Ash could have ever expected to do - even more so when he found out she was an unknown missing daughter of the Summer Court. That is, until she became the Iron Queen and Ash found himself physically separated from the girl he had sworn his life to protect. As the last prince to the Winter throne, Ash had to make a choice: find a way to get to her or give her up entirely. His fall then began with a girl, but also a cat, sworn enemy, and a few surprises to aid him on his way. Every fall, after all, has an end. Let me start off by saying that from the moment I picked up The Iron King and met Ash I knew that we would get on fabulously. There was something abut the way Julie wrote him with just the right amount of standoffishness that hinted that there was something hiding beyond his straight-faced façade. While he was very much part of Meghan's story, it was clear that Ash also had one of his own. One of the best things about this series has been Julie's clever usage of novellas that allow us a glimpse behind-the-scenes for some crucial moments, that, for me, made all the difference in how the characters were developed and my view of them. After Summer's Crossing and seeing Puck's POV I knew that seeing the world from Ash's head would not disappoint. There were two aspects of this book that I loved above all else. The first being the development of the relationship between Puck and Ash. You can't hate someone as much as Ash hates Puck without first having had a really close friendship, and this is something that's explored with great success here. I will say, however, that there were some Puck moments that I found slightly overbearing ("ice-boy, ice-boy"), although that could be possibly be intentional as Ash would undoubtedly think the same after spending 24/7 with his favorite frenemy. The second is something that I don't want to spoil for you... but I have to say that I absolutely adored the ending. It's possibly one of my favorite things that a storyteller can do when done well, and it worked. There came a point about 3/4 way through that left me slightly uncertain about how I was feeling about the story and then it came out of nowhere and I was hooked. Everything clicked and made sense. 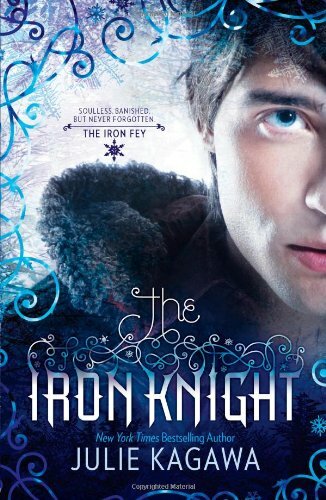 If you haven't started the Iron Fey series, now is the best possible time to do so. All four books are released and at the ready for you to dive in, and, trust me, you want to have more than one on hand because the story is perfect and thoroughly addicting. The Nevernever is an endlessly curious place full of magic and surprises, and Julie's continuing theme of exploring the human impact of the Nevernever and its continued existence from the hopes and dreams of the human world never ceased to amaze me. There's really something in this book, and all those before it, for everyone to explore and fall into. A perfect ending to an utterly captivating series. 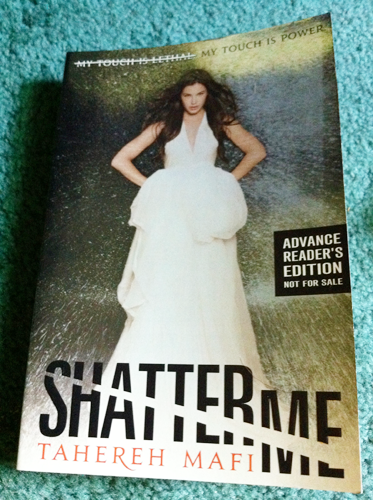 This ARC was received from HarlequinTeen via NetGalley in exchange for an honest review. Can I have a dinner party instead? Probably not. I'd like to have dinner with Severus Snape, but I have no idea what we'd eat. Probably something simple and rustic with no bold flavors (veggie shepherd's pie, perhaps? ), and then some tea. I'd also probably eat with Emerson Cole from Hourglass, but I think she'd prefer breakfast instead. So we'd have waffles with a blueberry reduction and homemade whipped cream, fresh squeezed orange juice, and maybe a small bran muffin to balance things out. Darcy is also someone I would love to have a meal with, but I would probably be so nervous that I'd make a right mess of myself and run out to Lizzie in tears. Characters and food, two of my very favorite things. I don't know if it's apparent...but as far as food is concerned, the only thing I like better than cooking and baking is eating! Yum! I've been waiting to post this one, but I was hoping to have some sort of blurb and maybe a cover. Now I have both. And I adore the cover - this is the sort of simplistic yet seamless cover that works extremely well for me. Everything about it fits together. 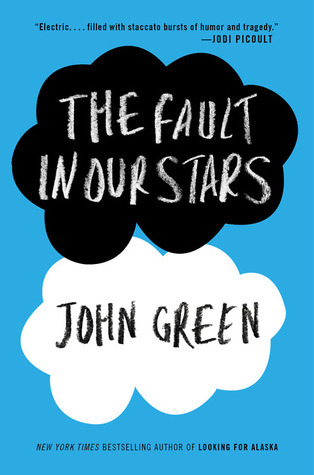 The book is by John Green, which, really, leaves nothing else to be said. DFTBA. P.S: I really, really love how the title fits the story. Welcome to this week's IMM: the lazy edition. The next two months are going to be absolutely insane for me as it's now midterm time and I have to start thinking about final paper topics and outlines for three of my classes on top of what seems like it's gong to be intense training for work. So, I apologise if I'm not here as much as I would like, but I am slowly trying to catch up. Now is not the time for Carmen to fall in love. And Jeremy is hands-down the wrong guy for her to fall for. He is infuriating, arrogant, and the only person who can stand in the way of Carmen getting the one thing she wants most: to win the prestigious Guarneri competition. Carmen's whole life is violin, and until she met Jeremy, her whole focus was winning. But what if Jeremy isn't just hot... what if Jeremy is better? Carmen knows that kissing Jeremy can't end well, but she can't just stay away. Nobody else understands her - and riles her up - like he does. Still, she can't trust him with her biggest secret: she is so desperate to win, she takes anti-anxiety drugs to perform, and what started as an easy fix has become a hungry addiction. Carmen is sick of not feeling anything on stage and even more sick of always doing what she's told, doing what's expected. Sometimes, being on top just means you have a long way to fall. Carmen Bianchi and her violin are inseparable. For as long as she can remember she's always known that her path in life goes like this: practice practice practice, win the Guarneri, impress the world of classical music, and afterward continue to tour and play venues such as Carnegie Hall. Already having won Grammys and several recording contracts, it almost seemed a certainty. Until it wasn't. Other than books, music is what I live for. And while listening to music is astounding, being able to create that music yourself - well, there are no words for that feeling. Reading this book brought me back to every moment on stage, and for that alone it was worth it. One of my favorite things about Virtuosity, as a musician also, is that violin is never referred to as 'the violin', as that would imply a sense of distance between Carmen and her violin that does not exist. This phrasing continues throughout the story and every single time I saw that I just about burst into a smile. That's how you know the author fully gets music. The flow of the story worked quite well for me, as in the beginning, we figure out that Carmen's mother, Diana, herself was an opera singer until she had to receive surgery on her throat that rendered her voice incompatible. It was strange to have Carmen's narrative voice refer to her mother as 'Diana' until later on I realised it felt like a distancing measure; while Diana was her mother, she was more so a manager and a stage parent. Throughout the story you get to see a transition of Diana's role from one end to the other, and to me it was almost as if Carmen thought that her mother would never do anything terrible, but this Diana possibly could. This helped me to understand Carmen a lot better as well, as she's been home schooled and hasn't had the chance to experience the things that other people her age would have gotten to do. So when she finally meets the elusive Jeremy King she's shocked that he's not at all like she is, and wholly different than what she expected. The real person dynamic between Carmen and Jeremy was refreshing, and while reading I had the impression that I was getting to explore new things along with them, and never felt like I could anticipate what their outcome would be. Theirs is a story I would like to know more about. Virtuosity is a book that's not just about music, but about exploring your choices and having the ability to figure out that everything isn't quite set in stone. That said, Virtuosity is one that I think that anyone could pick up and really fall into - and if you have ever played an instrument, particularly a string instrument like I have, then I imagine that this book and you have an upcoming date. Q: What superhero is your alter ego? 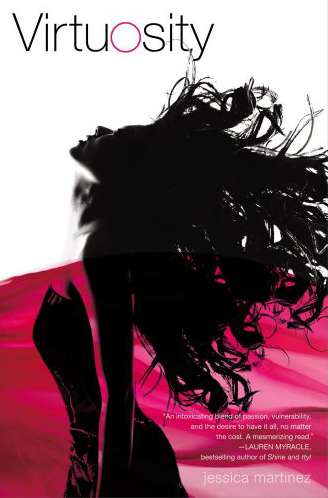 from goodreads (Fall 2012):What's Left of Me is the first book in the Hybrid trilogy, and is the story of a girl living in a world where people are born with two personalities inside them. Those who do not resolve into one person by the time they are teenagers are threatened with having one half of their soul torn away. This week there isn't a picture or too much of a synopsis (and I hunted for information, trust me! ), but I couldn't let that hold me back from discussing this book and sort of shouting about it to the world. This is one that I've been excited about for quite awhile and I'm almost anticipating an Unwind-esque sort of struggle to happen within the person. The idea of this book, if done well, could be absolutely amazing. And the early early reviews seem promising. Kat, I cannot wait for this one! And, guys, if you have any upcoming dystopians that are on your radar feel free to leave the names in the comments - I am always on the look out for others. 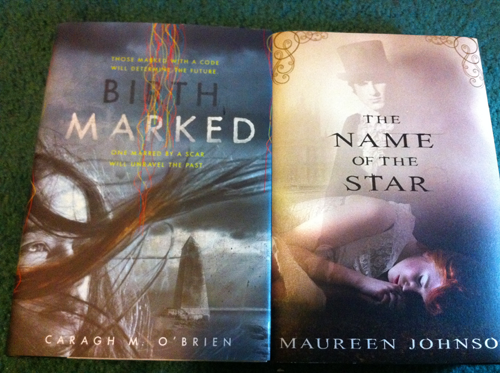 Top Ten Titles Whose Title or Cover Made Me Buy It: warning: image heavy, but beautiful covers! Friday was an incredibly busy day. After class and before work I managed to sneak in a trip to Comic Con to see Tahereh Mafi and Veronica Rossi speak, as well as attend their signing. Might I say that the two of them were extremely sweet and smart, and waiting in line for an hour to get in was well worth the trip there. All of my books this week are from NYCC, including some not pictured that my bf got for me yesterday at Julie Kagawa's signing. (So. Excited.) Next year I am definitely going all three days! I couldn't not start this one and I find myself speechless on every page. Her words are absolutely stunning and the turn of phrase in this book is exquisite. It gives me hope and confidence, because I'm more of a descriptive writer, and, boy, this is proof that it can be done very, very well. 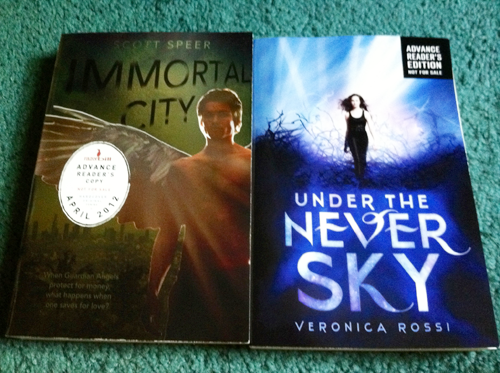 I hadn't heard of Immortal City, but I asked the very nice lady at Penguin (their booth was fabulous!) what it was about and she had me hooked, so I'm going to try it. Under the Never Sky - very excited to start this one. 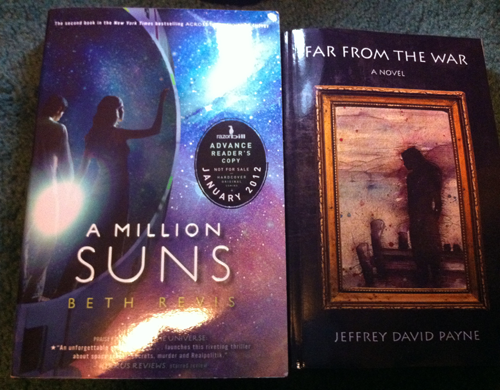 The paperback edition of Across the Universe is gorgeous. It really is. I haven't read Graceling yet, although I was assured that I didn't need to before I start this one, although I probably will just to have everything in order. 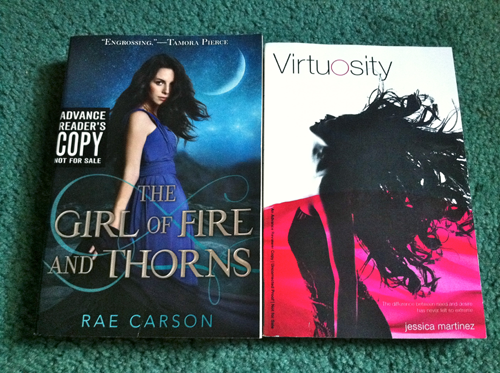 I'm happy to have one of her books on my shelf after so long on my TBR! Q: If you could have characters from a particular book meet and form an epic storyline with characters from a particular TV series, which would you choose and why? Cricket, well-versed in sneaking through windows and endearing parents to his cause, teaches Jazz how to enter the Banks residence to woo Hilary without the scorn of Philip and to the soundtrack of Will laughing hysterically while Carlton dances to Tom Jones for no apparent reason. Jeffrey watches while eating popcorn. Elisa has a gem in her tummy and wants answers. Giles has a lot of books. If anyone has to know what the heck is going on, it's got to be him. While exploring all of the freaky things occurring to the two of them, they happen upon Dr. Horrible, who, with the lack of things to do, decides that everything is better in the form of a musical. The first song is about animal crackers. The rest, well, you'll just have to petition for it. On a somewhat serious note, it might be interesting to pair Jenna Fox with House, and put the characters from Lisa Bergren's River of Time series in with, perhaps, the setting of Rome to see what they'd think of the timeline. This question is fun! And I really think that Cinna would also be great on What Not To Wear. This one's going to break my heart, I can tell, but I've heard such great things about it. It could also go on a list of covers that really catch my eye - the alternating blues and pinks, the font, and that unicorn outline. Really nicely done! What are you waiting on, friends? 01. The Hobbit by J.R.R. Tolkien: I don't think this one gets enough love. It's so, so critical to LotR! 02. Pride and Prejudice by Jane Austen: I read this again and again anyhow, but to be able to experience Lizzie and all she goes through again, including meeting and matching wits with Darcy, well, yes please. 03. The Night Circus by Erin Morgenstern: This book speaks for itself. I cannot count on one hand the number of people I've talked into reading this book and have loved it. 04. The Hunger Games by Suzanne Collins: I wouldn't even need to read the other two because the first does such a stellar job of laying everything out. 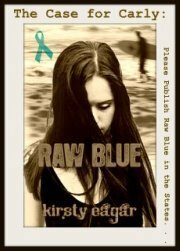 This book knocked me off my feet and I was glued to it from start to stop. 06. Divergent by Veronica Roth: My excitement for this book was sort of reaching epic proportions, so when it was finally released I was up until 3am reading it. I loved it. I still love it. It's one of my favorites of 2011 and I would like to experience that cycle of excitement and happiness of finally reading. 07. The Near Witch by Victoria Schwab: Musical from beginning to end, the sound of this book was breathtaking. 08. Charlotte's Web by E.B. White: I wonder if this was the first book to make me cry, or if that was The Lorax. Still, this is one I don't have a copy of any longer but need to. It's a classic. 10. 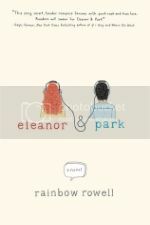 Lola and the Boy Next Door by Stephanie Perkins: Lola and Cricket = Stephanie Perkins is a mad, mad genius. Enough said. I've been thinking this morning about what type of post I could pepper in here to shake things up a bit, and I literally came up with this while washing my hair. So, thanks, hair. This time's subject is my favorite: characters. 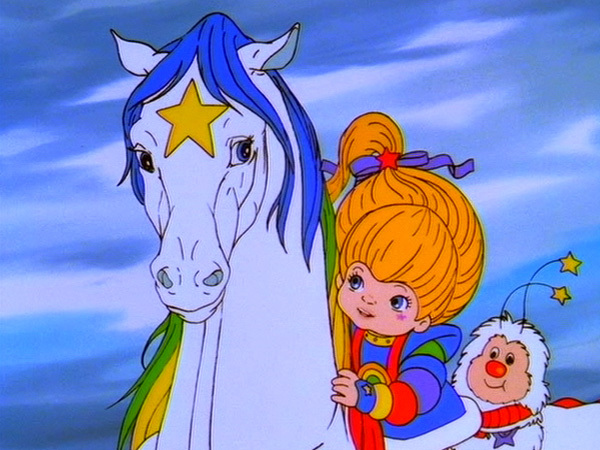 Main characters, in particular this go 'round. I love characters that are ______. When faced with a decision they ______. In terms of relationships, they don't ______. Three of their main characteristics are ______, ______, and ______. They would never do ______ except for in dire situations. Would not ______ give up everything in order to ______. 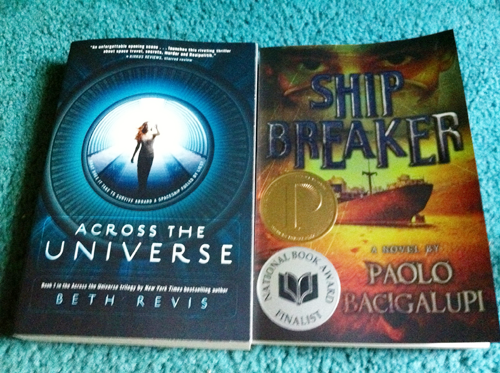 Thank you kindly to Greenwillow Books and Simon Pulse! 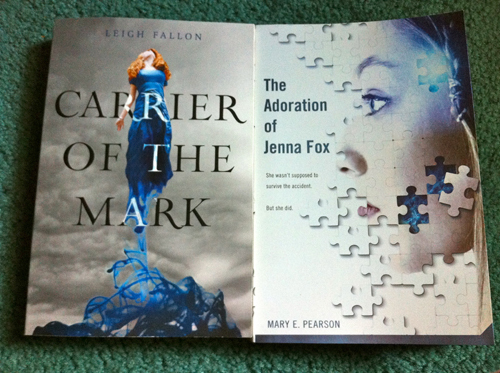 I'm not sure if I'll be putting up a review for Carrier of the Mark, but if you guys are interested I will write one up. Has anyone else read it yet? I attended Teen Author Reading Night at the Jefferson Market branch of the NYPL. All of the ladies involved were amazing. I sat in front of the sweet Nova Ren Suma and got to chat with Jocelyn Davies and Michelle Hodkin. 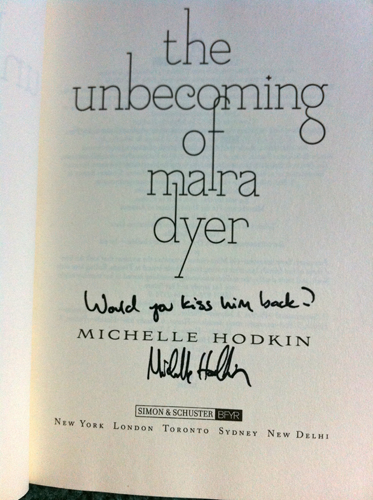 Michelle also signed my copy of Mara Dyer and she is seriously the nicest, most adorable person. See them if you can! So, so worth it. Having lived his live moving from foster home to foster home, the opportunity to attend Maxfield Academy was like waving the rare golden ticket in front of Benson Fisher. The fact that the school was so far apart from everything in the New Mexico desert was curious, but seemed like a fair trade-off for a chance at an opportunity for a good education and perhaps even a chance to make some friends. Benson soon found himself dropped off in front of the school's entrance and it was only as driver of the car sped away without even getting out that he noticed the children staring down at him from the windows of the school. Something was wrong. It's going to be difficult to write this review without doing two things: gushing about how much I loved it and trying desperately to avoid mentioning anything spoilery. The school, completely run by the children living there, is for all intents and purposes a prison. The students are told when and what to eat, what to wear and what to learn. Tasks within the school are divided among the three groups, and access to the outside is extremely limited. Food and supplies mysteriously appear and there are cameras everywhere, monitoring not only their movements but what they say and who they say it to. The peace between the groups is untenable, with the children stepping delicately on eggshells to maintain the status quo. Benson Fisher, a character after my own heart, is not fond of the status quo. As he is the most recent addition to the student body, his acceptance of the goings on at Maxfield is happily lacking. He didn't come all the way here to be subjugated, and he wants answers. The answers he gets are shocking and completely unexpected. The more that I read, the more I braced myself to not being able to predict anything in the best sort of way. The supporting characters here are plentiful and stand up well in supporting the story as it unfolds. The tagline though, for Variant is completely apt: trust no one. 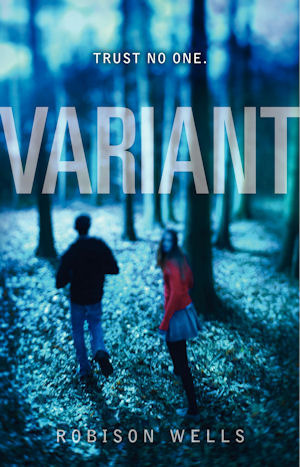 Variant is a book that I carried around with me everywhere and never wanted to put down. If you're looking for a riveting story that will shock and keep you on your toes then this is definitely one for your shelf. 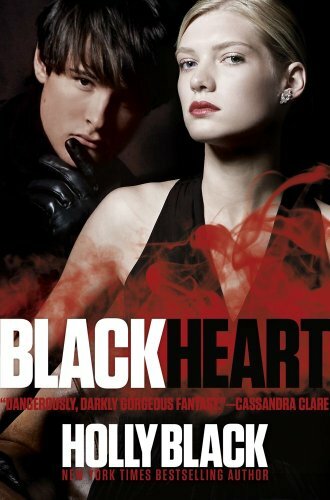 While there is a cliffhanger ending, if book two were available on Goodreads to add to my TBR it would already be there. Benson's journey is only yet beginning. 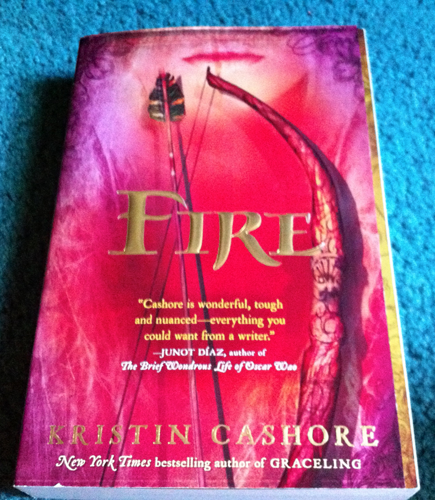 This ARC was received from HarperTeen via NetGalley in exchange for an honest review. 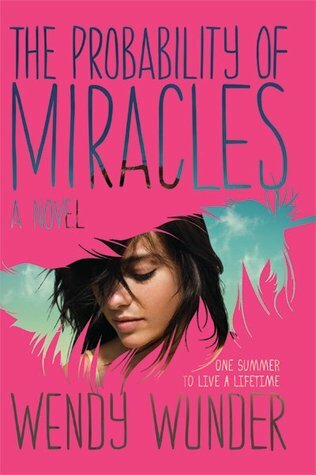 Skye has lived every day since the day her parents died in an accident just trying to have a normal life: she has a group of friends, hangs out at the local café, and is a member of her high school's ski team. A part of this normalcy is that every year her friends throw her a not-so-unexpected surprise birthday party, and this year was almost no exception until it was crashed by two people who would toss her normal life into a tailspin. Now Skye has to decide which truth she should believe, a decision that could change her path from here on out. I haven't read too many angel books, as the few I have I haven't particularly cared for. The cover of this one almost dissuaded me from reading it - doesn't that pose seem incredibly uncomfortable? Honestly, I wasn't expecting to enjoy this one as much as I did. While, yes, this is a book about angels, the mythology involved isn't your typical fallen angel/archangel and I liked the way the mythos was disseminated. It may or may not involve a late night campfire on a cool winter night. The newcomers in the book, Devin and Asher, are cold and hot. Devin is quiet, soft-spoken and empathetic while Asher is outgoing, slightly brash, and slightly steamy. For me, the dichotomy between the two of them was better described and therefore easy to visualize and fall into than was Skye's perspective. Jocelyn did a really great job of differentiating the two of them, and I was able to get a feel of them as two separate people which was vital to me for where the story was going. 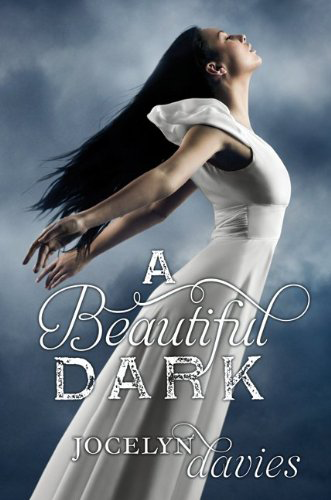 A Beautiful Dark does contain a love-triangle of sorts. Here, however, it is not a bad thing but instead something that the story plays off of. It had me going back and forth between Devin and Asher as more and more information was given; I was waffling along with Skye. All in all it was a fast-paced read that had me curious as to who would make the better case for Skye, until everything changed in an ending that I would never have expected. I'm hoping that in A Fractured Light we'll get to see a bit more of Skye standing on her own now that she has all of the gaps filled in. I'm going to try and choose one from each, because I'm incredibly indecisive. And I love characters. For TV I think I'd like to swap places with Olivia Dunham from Fringe for a multitude of reasons, mainly being that she's completely badass, but also has a smart and determined head on her shoulders, and she doesn't let anyone push her around. (I'd take Fauxlivia's hair, though.) And, hey, Peter? I'm finding it very difficult for a film, so maybe I'll pick two books instead. One, I think, would have to be Lola from Lola and the Boy Next Door. I love Cricket. And I love Lola. And I love them together. I was pretty much a melted pile of goo by the time I finished this book, but, trust me, once you read it you'll understand. I would absolutely adore experiencing the happenings of The Night Circus, and so I think I'd pick Celia, despite the occasionally awful things that happen to her. This story is so incredibly vivid in my mind and to see the clouds and ride on her carousel - amazing. I'd also like to choose Tris and Katniss. You might see a pattern, here. I'm typing this on an iMac, I check my blog and Twitter from my iPhone. You could say I'm an Apple person in more ways than one. Steve, you crazy round peg, you're going to be missed something fierce. Here's to the crazy ones. The misfits, the rebels, the troublemakers. The round pegs in the square holes. The ones who see things differently. Jenny, this choice is for you! I loved White Cat. I haven't reviewed it yet, but I'm planning on it, and I found it to be incredibly unique and captivating in a way that was refreshing. That she was able to create a new set of rules like that and integrate them into our timeline, for me, was pretty amazing. I bought Red Glove at Borders awhile back and am holding off on reading it until next year some time so I can read them all closer together, but, regardless, this is one I absolutely want to know more about. How can you not like Cassel? In short, this is one post that I really should try to think about in advance given that they're probably the ones that take me the longest. Still, I love them! I'm looking forward to see what you all think. I realllly wanted to do a video IMM this week, but time is just not allowing for it. I might have to add one in on Sunday afternoon when I get back. We'll see. As is, I'm pretty chuffed with my week in books! 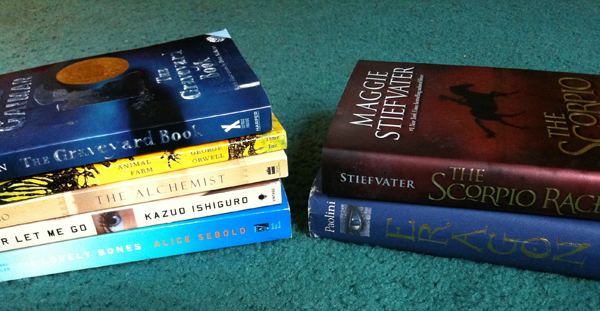 Bought: As a caveat, uhm, a lot of great books came out this week. I couldn't help myself! I was sent Goliath, so I had to get Leviathan. That's the way my mind rationalised it. 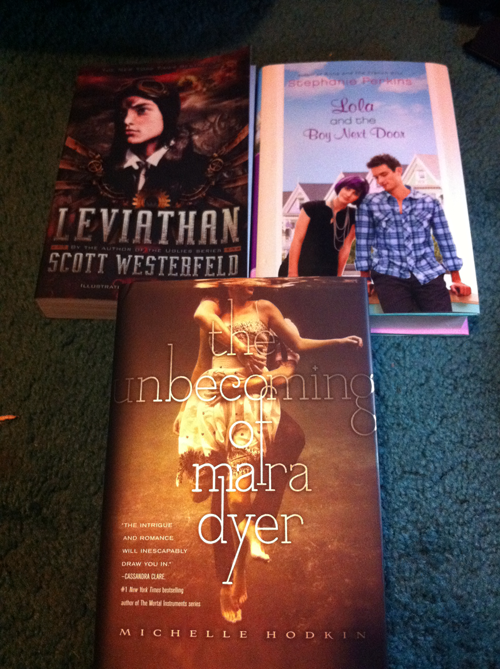 Lola I don't even have to explain, but Mara Dyer came so quickly! I pre-ordered it ages ago and was worried that it wouldn't get here in time to participate in her epic book contest. That one's going on a trip with me tomorrow; I plan on getting a good picture. I went to Books of Wonder to find Lola, only to discover that they didn't have it in. 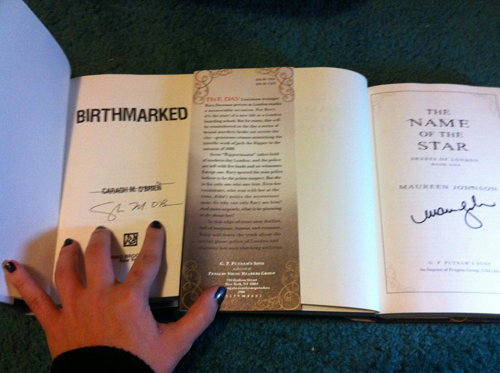 But they did have tons of signed copies that were beckoning to me. 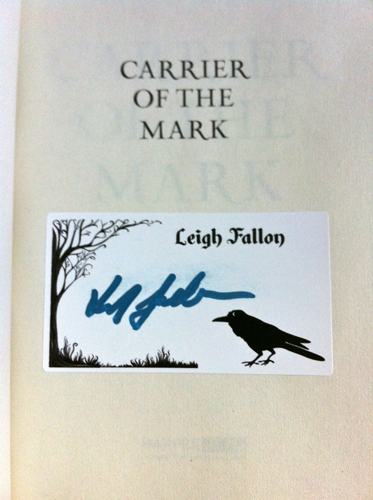 I originally was only going to get Birthmarked as I have Prized to read, but I saw piles of The Name of the Star behind the counter and lamented the fact that I had missed the signing due to an essay, and they took pity on me so kindly and let me pick up a signed version! I had a hard time taking a photo of that, and my hand looks terrible and clawish, but here is the sort of cool picture of the autographs.